The Freedom of Association Protocol (the 'Protocol') is a multi-party agreement created by Indonesian trade unions, factory owners (‘suppliers’) and global brand-owning companies (‘brands’), including Nike, Adidas, Puma, Pentland and New Balance. 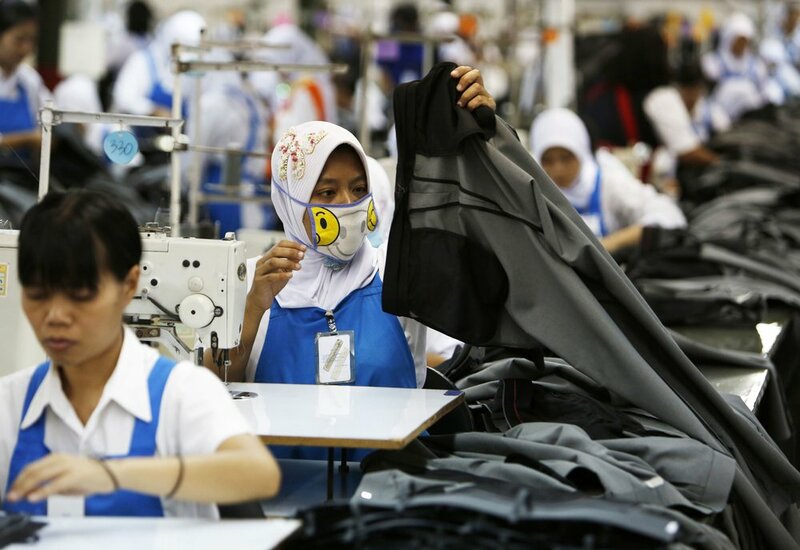 It was developed in the context of a long-running global campaign to persuade sportswear brands to uphold workers’ rights in their supply chains. Although institutionally fragile, the Protocol is highly unusual among the non-judicial mechanisms we studied in that it has resulted in significant improvements in respect for trade union rights in a number of factories that we investigated. For example in one such factory trade union leaders who had been subject to violent intimidation (including the use of electric shocks) were able to use the Protocol’s processes to draw attention to their situation and are now able to freely organise and negotiate regarding factory conditions with managers in that factory. In some cases trade union activity associated with the operation of the Protocol has also resulted in improved implementation of legal minimum wage increases in factories supplying participating brands, bringing significant benefits to workers in the factories involved. Worker representatives have also been active decision-makers and participants in the design, dissemination, implementation and governance of the Protocol. This has contributed to relatively high levels of local stakeholder ownership of the Protocol compared with other initiatives studied in this project. Achieving local participation has required a flexible approach, significant commitment of time and resources and would not have been possible without a skilled third party facilitator to maintain ongoing engagement by all parties. Notwithstanding these achievements, the Protocol has a number of limitations. While a number of brands and suppliers have exhibited significant commitment to the Protocol process, its implementation has been far from uniform. Although in some factories the terms of Protocol have been incorporated into collective bargaining agreements, at this stage the Protocol is primarily viewed as a non-binding initiative and many suppliers appear to be resisting its full implementation in their workplaces. Without sustained monitoring, particularly from international labour rights networks (whose history of labour rights campaigning targeting the sportswear sector laid the groundwork for the Protocol), the incentives for some brands to stay involved and to persuade their suppliers to continuously improve compliance may diminish. There is also significant frustration among the unions that the brands are refusing to negotiate further protocols on living wages and job security, insisting instead that further work needs to be done on implementing what has been agreed in relation to freedom of association. Despite these limitations, the Protocol represents an important, albeit imperfect, innovation. Our report on the Protocol, available at corporateaccountabilityresearch.net/, makes a number of recommendations for strengthening its effectiveness. This report examines the contribution of a non-judicial mechanism designed to encourage respect for freedom of association within Indonesia’s export-oriented apparel and footwear sector. The Freedom of Association Protocol (the ‘Protocol’) is a multi-party agreement created by Indonesian unions, factory owners (‘suppliers’) and global brand-owning companies (‘brands’), including Nike, Adidas, Puma and New Balance. In Indonesia freedom of association is protected by legislation and union busting constitutes a criminal offence; however, implementation of these laws is weak and routine violations continue to occur. 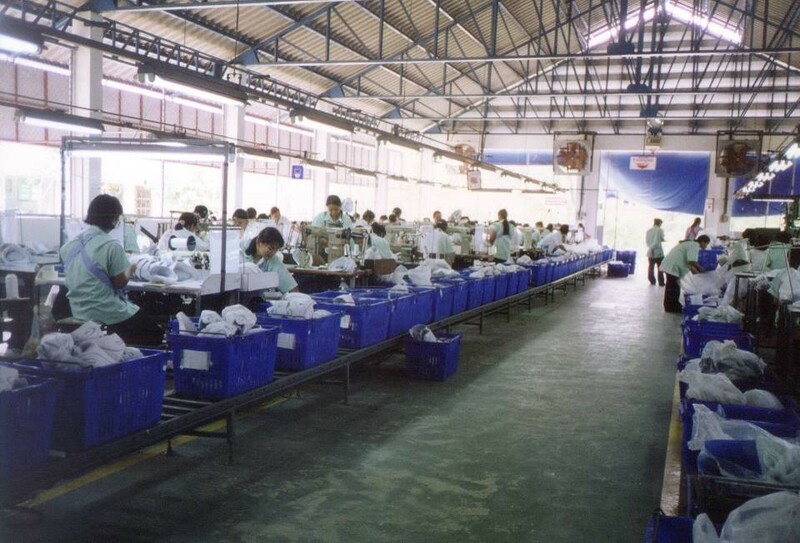 The Protocol establishes specific standards for freedom of association in participating factories, as well as grievance resolution procedures for violations of those standards. It currently applies to approximately 300,000 factory workers employed in industrial districts throughout Java, most of whom are young women. It was developed in the context of a long-running global campaign by trade unions and labour rights organisations to persuade sportswear brands to uphold workers’ rights in their supply chains. The Protocol has a number of features that make it an important case study in terms of the operation of non-judicial human rights grievance mechanisms. Significantly, the Protocol provides a model for ways that non-judicial mechanisms can enhance the influence and voice of vulnerable peoples who are impacted by the activities of transnational business. Worker representatives have been active decision makers and participants in the design, dissemination, implementation and governance of the Protocol. This has contributed to relatively high levels of local stakeholder ownership of the Protocol compared with other initiatives studied in this project, and to the active use of the Protocol as a bargaining tool within individual workplaces. The involvement of Indonesia-based unions and suppliers in Protocol negotiations has also resulted in provisions more tailored to the Indonesian context. Achieving local participation has required a flexible approach and a significant commitment of time and resources, and it would not have been possible without a skilled third party facilitator to maintain ongoing engagement by all parties. The Protocol’s development to date illustrates the potential advantages of locally designed redress models based on facilitated negotiations. While the Protocol has not prevented suppliers from seeking to suppress trade union rights, it has shifted the balance of power between unions and employers in the factories we researched in several important ways. In several of the factories we researched trade union leaders reported that their ability to claim the rights negotiated through the Protocol had given them more confidence to challenge discrimination against them as union leaders. For example, in one such factory, union leaders who had been subjected to violent intimidation (including in one case being subjected to electric shocks) reported that the Protocol’s processes had helped bring that violent intimidation to an end and that they are now able to organise freely and negotiate with factory management. Many of the workers interviewed for this report also reported that the Protocol has enhanced their ability to achieve positive changes on the factory floor by establishing specific standards, broad support networks and a new forum to raise grievances directly with factory management and brand representatives about workplace violations via union representatives. One of the clearest examples of concrete benefits for workers stemming from the Protocol’s focus on trade union rights relates to wage negotiations. Unions in a number of factories reported using the Protocol’s processes to help them stand firm against efforts by their employer to gain government exemptions from annual increases in the local legal minimum wage. After several disputes on this issue in Nike supplier factories, Nike adopted a policy not to allow its first-tier suppliers to seek minimum wage waivers from the government (Adidas had earlier adopted the same policy). This has brought important benefits to many thousands of workers, since in recent years there have been significant annual legal minimum wage increases in many of the relevant provinces. Notwithstanding these achievements, the Protocol has a number of limitations. The mechanism is largely voluntary, which presents significant challenges. A number of brands and suppliers have exhibited significant commitment to the Protocol process; however, its implementation has been far from uniform. Although the Protocol has facilitated the informal resolution of a number of grievances, in many factories the formal workplace committees that are supposed to have been established to monitor the Protocol’s implementation and resolve disputes have not been functioning effectively. Although in some factories the terms of the Protocol have been incorporated into collective bargaining agreements, at this stage the Protocol is primarily viewed as a non-binding initiative and many suppliers appear to be resisting its full implementation in their workplaces. As such, without sustained monitoring, particularly from international labour rights networks (whose history of labour rights campaigning targeting the sportswear sector laid the groundwork for the Protocol), the incentives for some brands to stay involved and to persuade their suppliers to continuously improve compliance may diminish. There is evidence that the Protocol’s effectiveness may be undermined by the lack of sufficient incentives to persuade suppliers to comply. Currently several different measures are adopted by brands to persuade suppliers to cooperate, including compliance scorecard incentives, business case arguments and the implied threat of limiting or reducing orders. However, positive financial incentives are not clearly articulated. This is problematic because the implementation of the Protocol can result in additional costs for suppliers, since democratically unionised workers are likely to demand higher wages and better working conditions, which may or may not be accompanied by increased productivity. If brands are not willing to cover these potential costs there is a risk that suppliers will continue to develop strategies for avoiding the Protocol or even relocate production to other countries, as frequently occurs within the sector. Certainly there was concern among union leaders we interviewed that implementation of the Protocol’s rules regarding trade union freedoms may have been part of the motivation for at least one factory to close and move to another country and for another supplier to move the orders of brands who had signed the Protocol to another part of its corporate group, away from the subsidiary where freedom of association violations were alleged to have been taking place. Realising the potential benefits of the Protocol also depends on unions having good internal communication, accountability to their members and a systematic approach to socialising the protocol. Partly for this reason, the realisation of the Protocol’s benefits has varied between unions and, in some cases, within unions, depending on the extent to which regional union officials were aware of the Protocol and were sharing information and progress reports between factory-level union leaders and the National Committee of the Protocol. As an institution, the Protocol is also relatively fragile and at the time of writing its future is uncertain. There is significant frustration among the unions involved that the global brands are refusing to negotiate further protocols on living wages and job security, insisting instead that further work needs to be done on implementing what has been agreed in relation to freedom of association. The brands involved, for their part, are keen that other global companies be encouraged to join the Protocol initiative, and that other companies should lead any negotiations on other issues, not them. Tension between the two sides over this issue is significant and has presented a challenge to further progressing implementation of the Protocol agreement. Furthermore, despite the fact that the financial resources committed to the Protocol have been very modest (consisting mainly of the time of an Oxfam Indonesia staff member who has acted as a facilitator and some money from Oxfam to support meeting costs), Oxfam has signaled that it plans to withdraw these resources. At this stage it is unclear whether any other organisation is able to step in to play that role. Despite this fragility and uncertainty, and despite its inconsistency in implementation, in the context of other non-judicial mechanisms operating in labour-intensive global supply chains the Protocol’s achievements have been quite remarkable. Our wider research project (documented in other reports in this series) has involved studying nine other cases where prominent non-judicial mechanisms have sought to respond to human rights grievances in Indonesia and India. Although many of these other mechanisms include trade union rights among the rights they seek to protect, in relation to those other cases we found numerous examples of trade union rights violations and scant evidence of the other mechanisms being able to either reduce those ongoing violations or provide redress. In contrast, most worker representatives we interviewed regarding the Protocol ascribed various tangible benefits to the introduction of the Protocol in their workplaces. Through its focus on worker empowerment and more robust factory-level industrial relations, the Protocol offers an important and unique model for strengthening labour conditions and factory-level grievance resolution in the manufacturing sector. This report also makes various recommendations to improve the effectiveness and sustainability of the Protocol. If strengthened, the Protocol has the potential to significantly improve respect for freedom of association within the supply chains of participating companies. In the context of today’s global garment and footwear sector, in which freedom of association remains marginalised and barriers to organising remain significant, the Protocol represents an important, albeit imperfect, innovation.